Fyffes has reported that its banana farm Finca Esmeralda is one of the first in Costa Rica to implement a closed-water recycling system, which has successfully reduced water consumption from 200 to 40 litres per box of bananas. 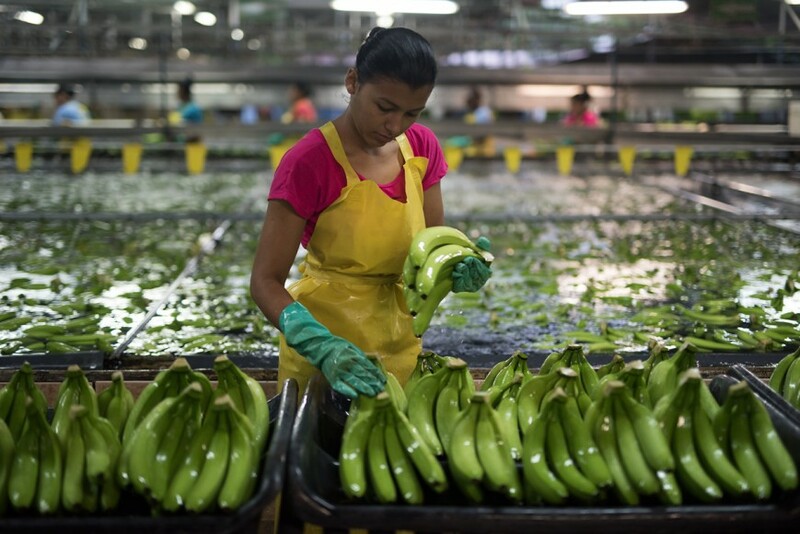 To coincide with World Water Day, Fyffes has shared the technique deployed to reduce water consumption during the banana packing process, a process that involves using various tanks and stages so water can be reused while maintaining the highest levels of sanitation and cleanliness. 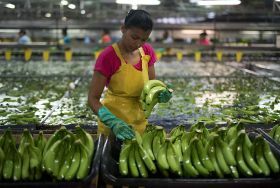 According to Fyffes, the biggest challenge with reusing water is removing latex; a naturally occurring protein which leaches from the bananas while they sit in aptly named ‘de-latexing’ water tanks, before being de-handed and getting placed on selection trays. “The water coming out of these tanks runs along an off-flow drain and organic matter gets removed from the water using wire screens," explained Hugo Hays, Fyffes global director for food safety and compliance. "Next the water travels down a ramp called a ‘hydraulic leap’, gathering speed and turbulence at which point we add Alum. “Alum, or Aluminate Sulphate is a mineral frequently used in conventional water purification processes to remove suspended particles in the water. By adding Alum it causes the latex in the water to flocculate (cluster/clump together) and precipitate to the bottom of the water column. “The water then makes its way to the flocculation tank," Hays continued. "This is a cleverly designed tank where a zigzag path is followed by the water, traveling with speed at first (to ensure the Alum and water thoroughly mix) but gradually slows, allowing the floccules to form. The water then enters the settler tank at very slow speed. “Here, the flocculates settle at the bottom of the tank, leaving clean water on top, ready to be used again. Finally, the clean water is skimmed off and collects in a reservoir tank ready to be reused. A small amount of chlorine is added to the water before, once again, re-entering the de-latexing tanks. According to Fyffes, water conservation is a pillar of its sustainability strategy and contributes to the United Nations Sustainable Development Goal for clean water and sanitation.